Are you looking into moving to South Miami? Not sure about what you can expect in the area? Or are you wonder how to pick the best moving company for your money? Well, worry not! Orange Movers Miami are the perfect company for you! Find out more about the city, and why we are the best South Miami Movers there are! We are the movers you can rely on. One of the most important traits a moving company needs to have is reliability! And you guessed it right – we are the movers you can count on! Our workers are skilled and our equipment is top of the line – ensuring you get the move you deserve. We also put our clients’ needs as our top priority. A lot of clients ask how to pick reliable movers in Miami. It is simple – pay attention to how they behave with their clients. Our workers are communicative and willing to talk with you about the whole moving process. You can be involved in the moving as much as you desire. This way, you can be at ease about the move, and our workers will be informed about your needs. Finally, you will know you can count on them. Another important trait our workers have is the experience. We have been in the moving business for quite some time, so we know how to deal with any issues that we might come across. Our workers are trained, and our managers are hard-working. This means that we spot (and solve) problems before they even arise! If you are looking for movers you can trust, look no further than Orange Movers Miami! We know that time is money. We all live in a busy world. In this world, time is money. We are well aware of that fact! Sometimes, when moving for work, taking days off work will mean you love money, and we cannot allow that to happen! Our workers are efficient, but not careless! Even though you will know your move will be done on time – your things will be safe in our hands! But efficiency doesn’t only save you money! As a move goes on and on, so does your stress level rise. By employing efficient South Miami Movers, you will be sure the move will finish quickly, and you will not even have the time to stress out! Finally, sometimes you might be hard-pressed to move as soon as possible. Maybe you are moving for work and your boss wants you in their new office in a week. Or your lease is up. Maybe your children are starting school soon and you want them in your new house by the time that happens. Fear not! 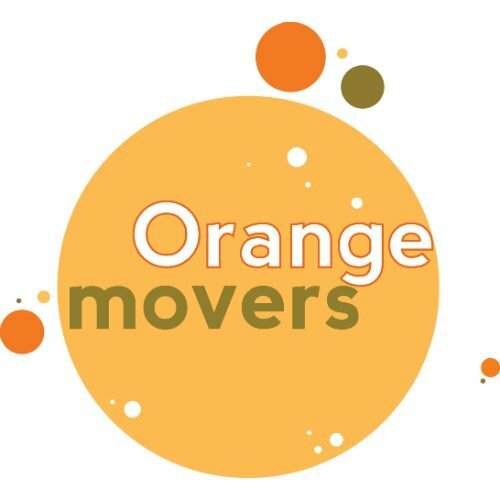 When looking into last minute movers, you need to look no further than Orange Movers! Last but not least, all moving companies in Miami need to take care of your things. No moving company can be successful if they are careless about the items they are transporting. We know how important it is for your thing to arrive at their destination in one piece. That’s why our movers are not only efficient but very careful with your furniture. We have great equipment, as well as professional packing materials, which will ensure the stability of your things. Furthermore, the security measures in both our trucks and in our warehouses mean that the theft is not likely. You can sleep at ease knowing your things are safe and sound with us. Finally, when they arrive at your new home, our workers can even help you unpack them if that’s what you need and want! So now that you know why Orange Movers are the best out of all local moving companies in Miami, it’s time to talk a little bit about what you can expect once you move to South Miami. South Miami is a city in Miami-Dade County. It has the population of roughly 12,000 people and the density of around 5,000 people on a square mile. It has connections to downtown Kendall, Downtown Miami, and Miami Central Station at Miami International Airport through the Miami Metrorail system, which has a station in the central business district. You can also take the Metrobus through the area. Even though South Miami is known for its tree-filled neighborhoods, there are many things to do in the downtown area too. There are parks, historic buildings, restaurants and shopping strips, like The Shops at Sunset Place. It has a mixture of long-standing business along with the newer establishments, making for an interesting shopping experience. When you feel like listening to live music, you can head down to Bougainvillea’s Old Florida Tavern or The Irish Times Pub & Eatery. The library in South Miami is an extension of the Miami-Dade Public Library system. It is open 5 days a week (and stays open late on Tuesdays and Wednesdays) and has a large children’s room and extensive collection of DVDs and books. Enjoy days in the sun with one of the many South Miami parks. When it comes to spending a day in the sun, you can visit one of the many South Miami parks. If you like sports, you can pay Palmer Park a visit. There, you will find baseball, T-Ball, softball, football, and soccer fields. For tennis, go to Marshall Williamson Park, which also has a gazebo. If you want to spend the day feeding the duck in the pond, then take a stroll to Fuchs Park. Brewer Park has a nice playground for your kids, as well as basketball, handball and tennis courts for your older children. There are many other parks to discover, but we leave that for you. To conclude, South Miami offers a variety of things for you to enjoy. Now that you have learned a bit about it, it is time to call Orange Movers Miami. You know that we are the best South Miami movers, so there really is no need to waste your time. Give us a call and start your new adventure today!